What would it mean to your organization if you could predict system failures or quality issues before they happen? Preventing failures can help your organization reduce unscheduled downtime, waste, and rework – and avoid costly disruptions in operations. With predictive analytics, it’s possible to proactively manage maintenance and improve operational efficiency by discovering the chance of a failure before it takes place. In this past webinar, we discussed how you can utilize Azure Machine Learning, R, and the Cortana Intelligence Suite to predict and prevent system failure, and explored the benefits of calculating KPIs such as Remaining Useful Life, Time to Failure, and Failure within a certain time. The recording is available below! For more information on Predictive Maintenance, check out our solution offering! Enter your email address to view this video. Andy is a Principal Consultant at BlueGranite. He is passionate about helping customers employ modern tools as part of the democratization of data, and now, data science. 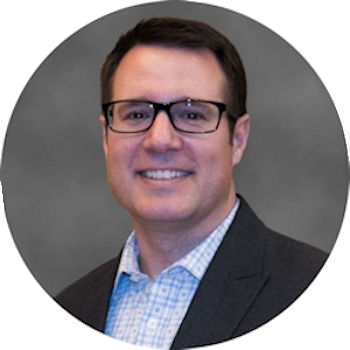 Drawing on a diverse background including military service, non-profit work, and over 13 years in enterprise analytics, Andy loves solving complex business problems that require leadership, teamwork, and technical skills. He has expertise in advanced business analytics using R, SAS, Monte Carlo simulation, discrete-event simulation, Azure ML, Power BI, and Spotfire.